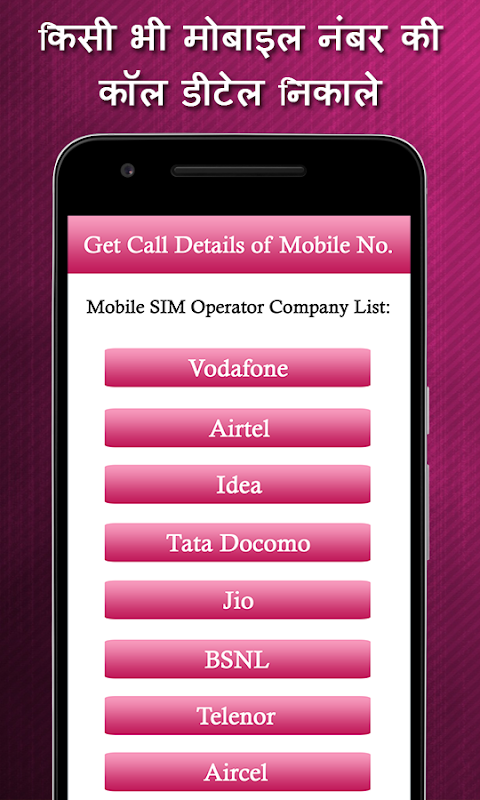 Now you can use this app to find from which state/telecom operator a mobile number belongs to. It shows caller info like Telecom Location/Provider during incoming call. 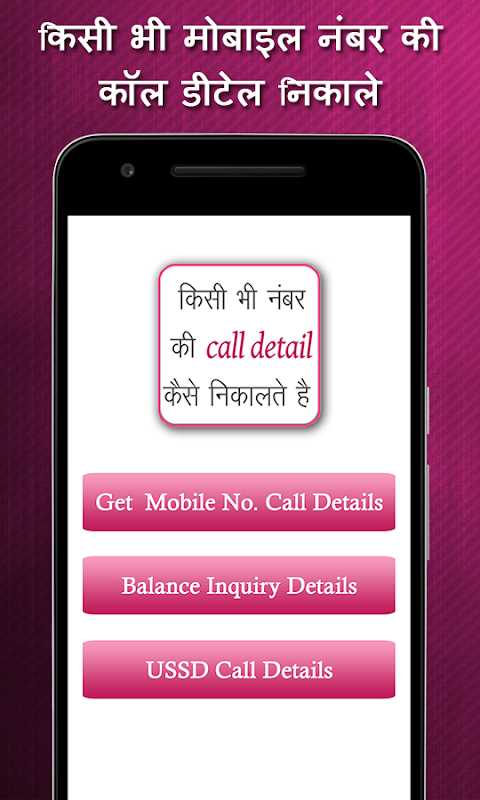 You can also view the details of mobile number in the call log. 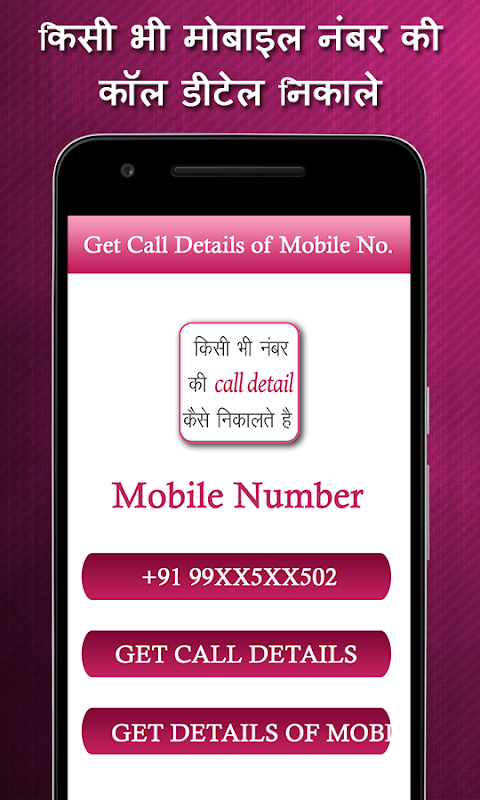 How to Get Call Detail any Number: Call History Call History Manager keep up to past 1000 days call logs and list them category wise for ease of access. Quick and advanced search options helps you to easily access data you are looking for. There are many other features included to manage your call logs easily and efficiently. 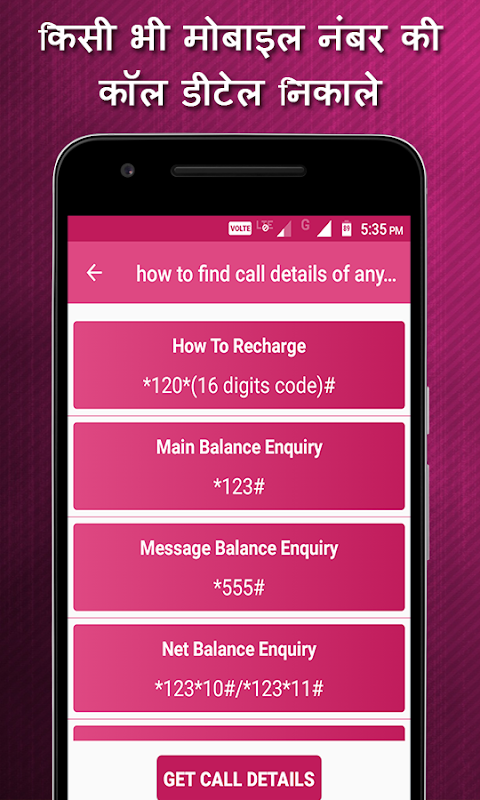 How to get call details of any number application helps the Indian prepaid telecom users to find the numbers for specific operations like Recharge, Main, Message, Net Balance enquiry, Finding own number and Customer care number. As of now app supports telecom operators like Airtel, Aircel, Idea, Vodafone, Uninor, Tat Docomo, BSNL and Reliance. Key features: - Filtered calls by type (Dialed, Received, Missed) - Delete all logs for specific contact - Shortcut to clear all of your call history - Quick call (Known numbers) - Quick SMS (Long press on contact) - Quick dial - Add contact (Unknown numbers) - Access your contacts - Displays name, phone, date and call duration If you have any query or suggestion please inbox us via E-Mail.  Is Get Call Details of any Number : Call History yours? Claim it!